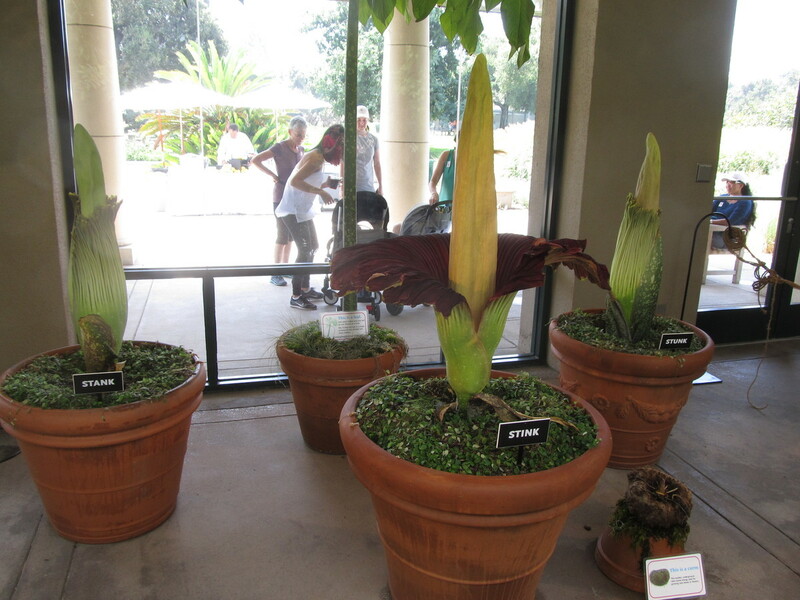 Last week, there was great excitement around here because one of the Corpse Flower plants at the Huntington looked like it was about to bloom. 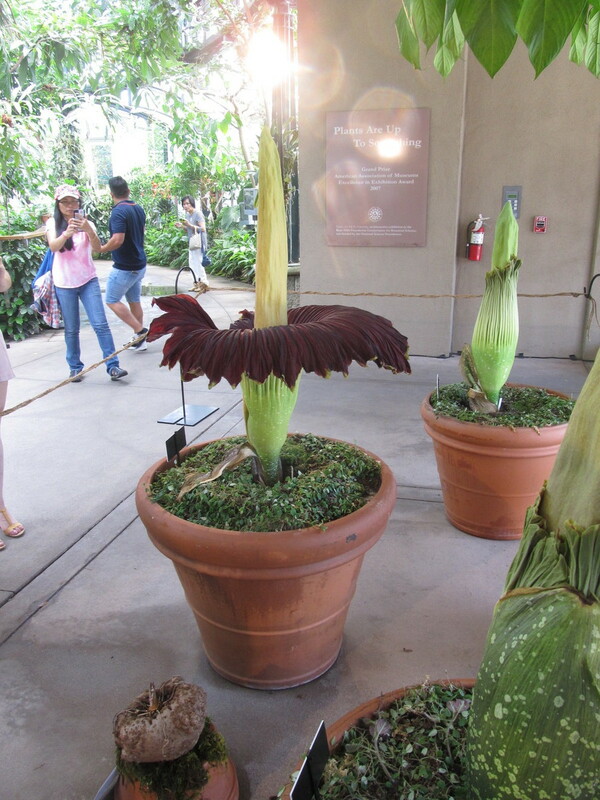 Kathleen and I went there to see it, and we were ready to go back as soon as the flower opened. But it never happened, and in the end they dissected the flower to try and see why it didn’t bloom. 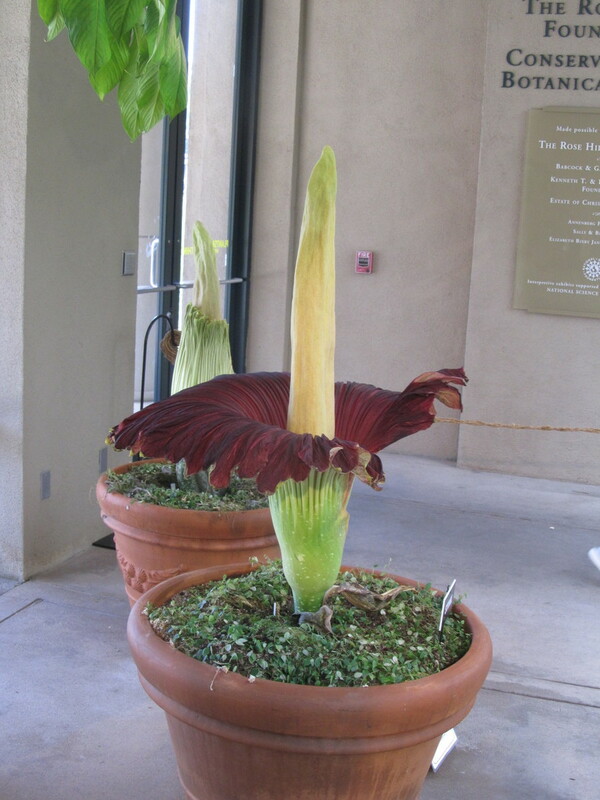 But then on Thursday, we heard that one of their other plants had bloomed unexpectedly, so at lunchtime on Friday, I rode my bike over there to go see it. 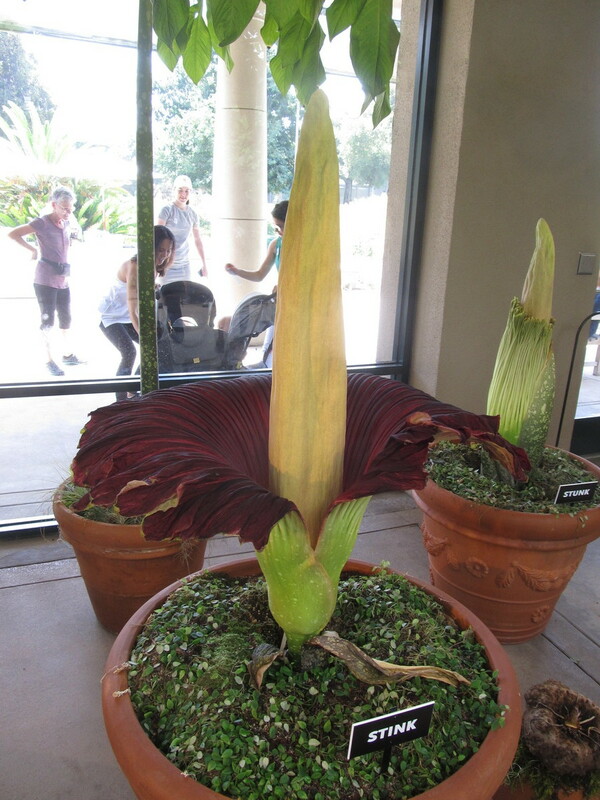 It’s reputed to be the biggest flower in the world, and yes, it’s big. It was roped off, which made it hard to lean in close enough to smell it. I was able to just pick up a little bit of the famous smell of the flower. 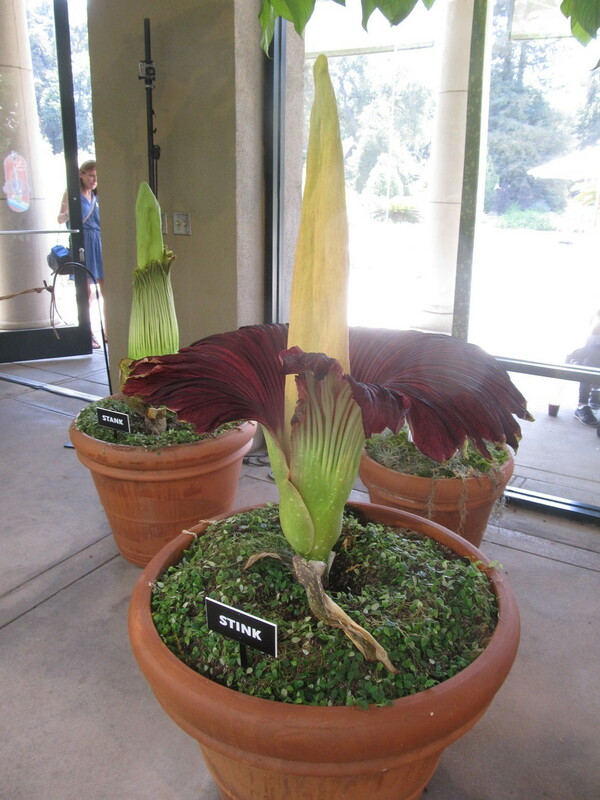 But still, ever since I first heard about this plant on an episode of “Nature” on PBS back in 1986, I’ve always wanted to see one. And now I’ve finally had the chance.